Basel Fair, 1957; Piaget stunned the world with the introduction of Caliber 9P. The importance of this movement for Piaget cannot be stressed enough. With a diameter of 20.5mm and a thickness of just 2mm it is not only one of the “founding fathers” of Piaget’s ultra-thin tradition, but it also provided Piaget’s designers the artistic freedom to create to most stunning luxury watches. 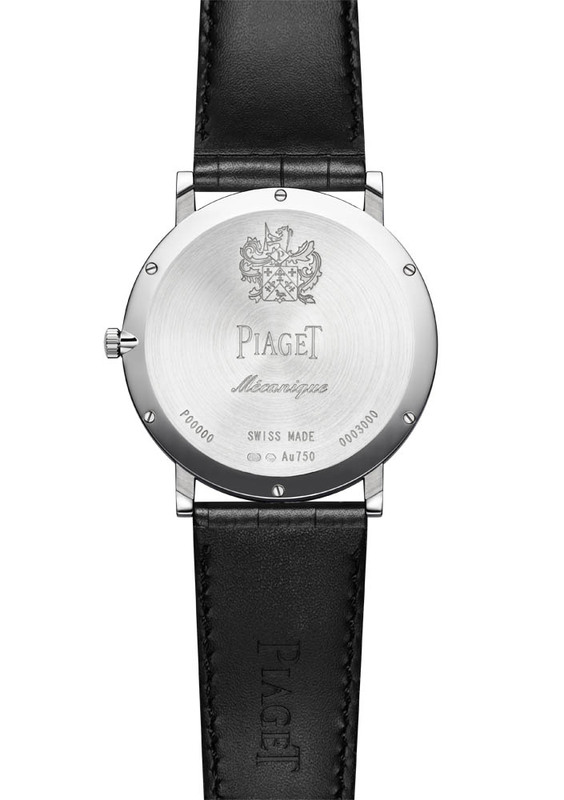 56 years later, this time in a pre-SIHH presentation, Piaget does it again. This time with caliber 900P, which has a diameter of 38mm and a thickness of 3.65mm, and one important difference; the case is included in these measurements. Why? 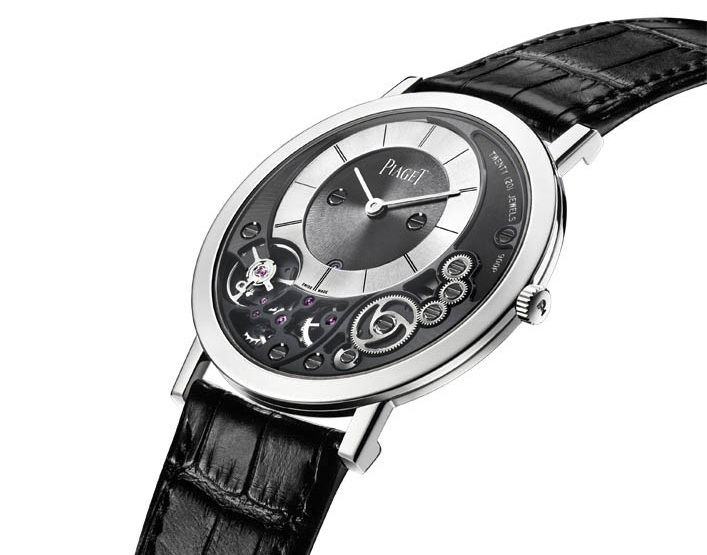 Because in order to get even thinner, Piaget constructed the movement as part of the case, or the case as part of the movement, which ever way around you fancy. But there is more to it, also every part is made as thin as possible. This is also where Piaget’s capabilities of being a Manufacture come into play. 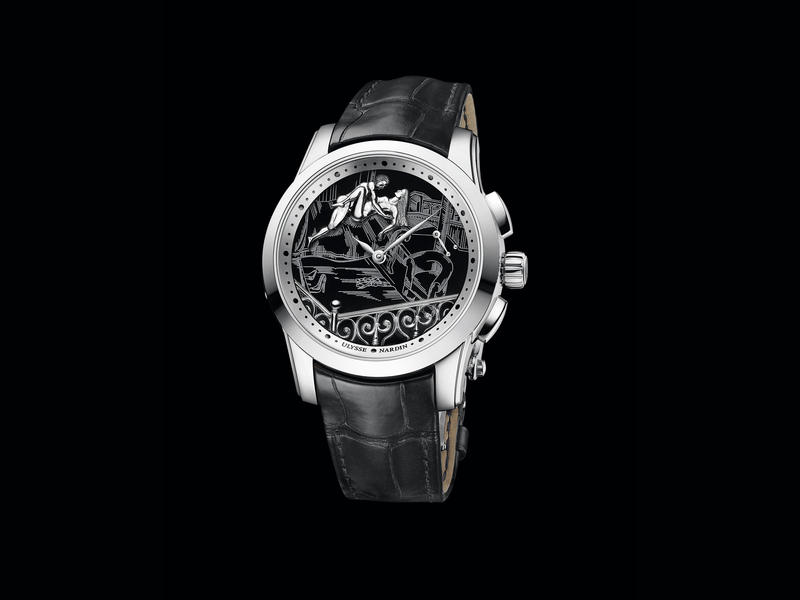 This enables Piaget to completely develop these movements in-house, and really push the envelope. But that by itself is not enough to create a watch like the 900P. Although never referred to it as a complication,creating reliable, ultra-thin movements is still one of the most daunting tasks within the watch industry, and one that only a few very select Manufactures even try to undertake. 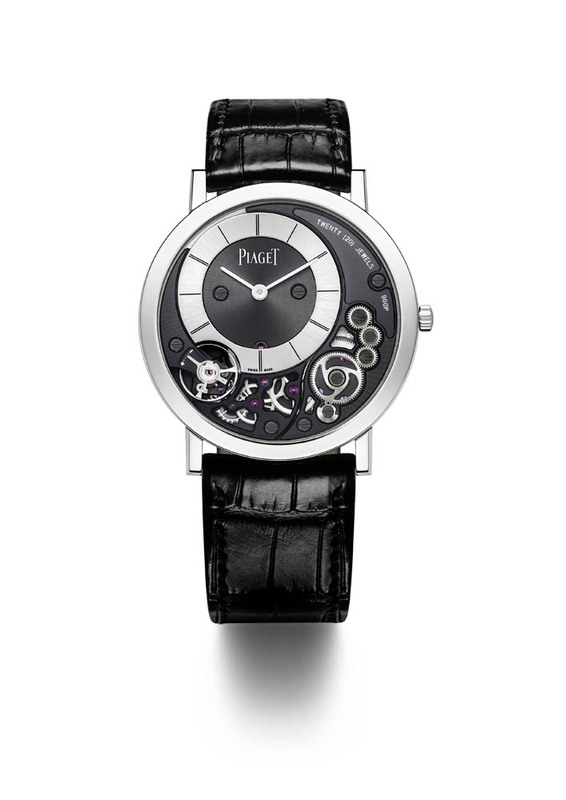 It is here that Piaget’s long standing experience with creating and building ultra-slim movements comes into play. This starts in the design process, but also depends greatly on the construction of the gears and case, which need to be as thin as possible yet still strong enough to be capable of decades of daily performing with Chronometer-precision. Also think of the difficult task of polishing and decorating all these thin surfaces to perfection. It is that equation that makes Ultra-Slim movements so incredibly difficult to make. Unique about the 900P is also that it still is water resistant. Especially when watches are this thin, that is not a given since making a watch water resistant adds in general height to the overall design. 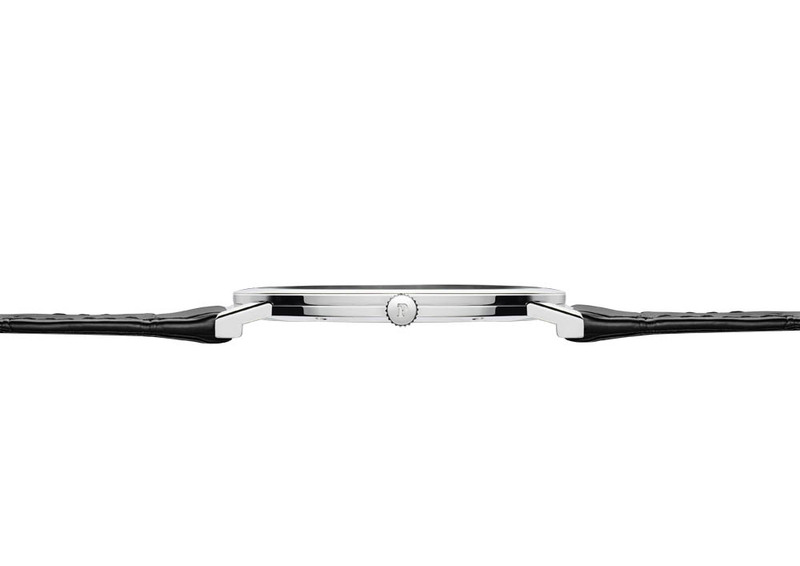 When a watch is this thin the clearance between the parts of the watch is measured in hundreds of millimeters. A normal occurrence when entering water with a watch is that the water pressure presses on the crystal and slightly deforms it. This actually makes the watch better water resistant because it pushes the crystal into its rubbers, creating a tighter seal. With a watch as thin as the 900P, this can also mean that the sapphire crystal is pressing down on the hands of the watch and causing them to stop. Piaget solved this problem by placing the hands below the bridge level of the movement. This way the crystal cannot press down on the hands and continuous performance is guaranteed, even under the pressure of water. With all the technical prowess, one would almost overlook design. The framework of the design is of course given in by the design of the movement, which is beautifully wrapped around the dial, but still provided Piaget’s designers with more than enough freedom to incorporate that typical Piaget look of understated luxury. With its monochrome color scheme and brushed textures, it goes further down on a road already taken by the Altiplano Skeleton Automatic. Executed to perfection they do give the watch that sense of understated luxury. 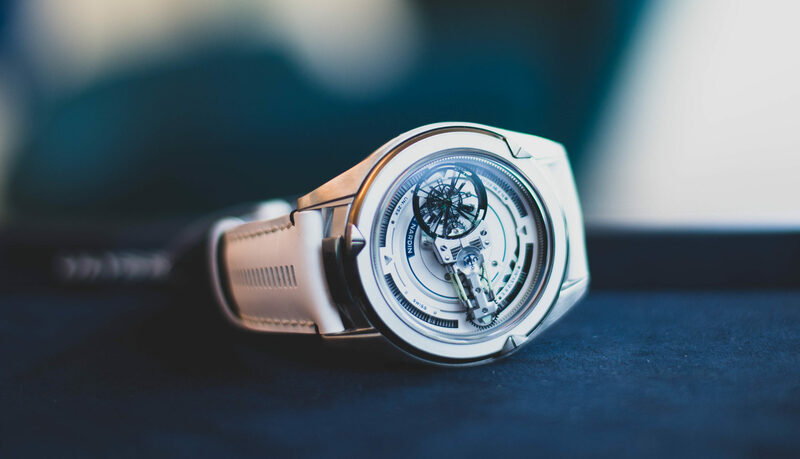 Of course the technical and design aspects of this watch are stunning, but knowing Piaget it is very unlikely that they will rest on their laurels. So what is next? Piaget has a tradition of first introduce an ultra-slim watch and than follow up with a diamond set version of that same watch. With the 900P this might not seem possible since diamonds need to be set into (precious) metal, and that is something this watch doesn’t have much of. But that hasn’t stopped Piaget in the past. 900P is a manual wind movement, but I wouldn’t be surprised if in automatic watch, crafted within the same concept, is in the making as well. As always, time will tell!